Women In Retail Leadership Circle | Deadline Approaching! Nominate a Top Woman in Retail! Deadline Approaching! Nominate a Top Woman in Retail! Just a reminder for all of our wonderful Inner Circle readers that the deadline to nominate an exceptional woman in retail for the Women in Retail Leadership Circle’s (WIRLC) list of the Top Women in Retail 2019 is Fri., Nov. 30. This ninth annual list will be featured in a special print issue published in January, and will also be available on WIRLC’s website. You can view last year’s list here. As we’ve done for the past eight years, WIRLC is focusing its search on women executives at retail companies or brands. We want to spotlight women in the C-suite as well as senior-level women leading teams within their organizations. The goal of the list is to honor women from all types of retail organizations, from large public companies to disruptive startups. have made a positive impact on their circles of influence and the retail industry as a whole. 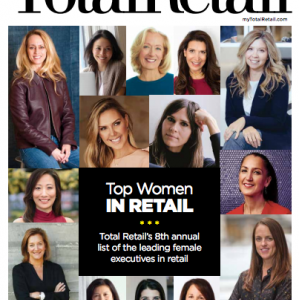 As I mentioned last week, the goal of this list is to honor exceptional women who have helped their companies grow and thrive in a competitive retail environment, built and managed great teams, launched new strategic initiatives, mentored colleagues, and given back to the industry. You can nominate a woman for our Top Women in Retail 2019 list here. Ultimately, we hope the list inspires you and other women in retail to take your professional and personal lives to yet another level.